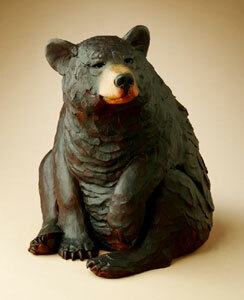 Star Liana York, Bathing Beauty, Bronze Edition of 35, 8" x 32" x 15". Monumental Edition of 25, 17" x 67" x 29"
The playful nature of Star Liana York’s sculptural talent emanates through her bronzes and fills a room with an energy that is best described as simply “an experience.” It’s always wonderful noticing the expressions on viewer’s faces as they gaze at her work for the first time. Star Liana York, Autumn Harvest, Bronze Edition of 35, 28" x 20" x 18"
Growing up in Maryland the daughter of a talented woodworker and a professional ballerina, Star was ignited with an artist’s passion at an early age. Always feeling a strong connection and a fondness for animals, Star purchased her first horse as a teenager. She began competing in speed events and rodeos, and later operated a horse boarding and training business through college. A studio art graduate from the University of Maryland, Star always dreamed of exploring the West. Her dream was realized about twenty years ago when she found a casting facility in Santa Fe, New Mexico. Star welcomed the opportunity and opened her first studio. Star Liana York, Baby Jack, Bronze Edition of 35, 7" x 5" x 6.5"
Star began gaining recognition at art competitions only two years after moving the the southwest. 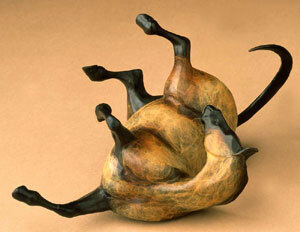 Southwest Art magazine soon realized her talent and published an article about her work. Her recognition as an artist since that time has grown. 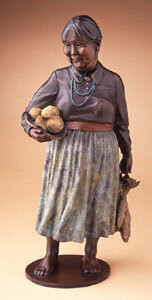 Her sculpture has been featured on the cover of Southwest Art, and New Mexico Magazine to name a few. 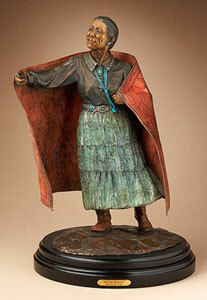 Most importantly, she was chosen as one of the thirty most influential artists in Southwest Art's 30 years issue. 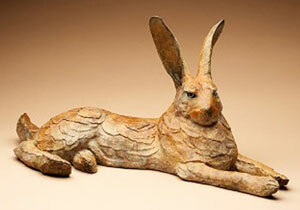 Several museums have placed her sculpture in their permanent collections and have held exhibitions featuring her work. 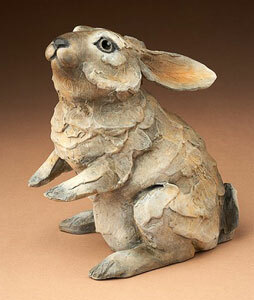 The Gilcrease Museum, Tulsa, Oklahoma, Tucson Museum of Art, and the Pioneer Museum, Colorado Springs are just a few. Star Liana York, Roll V, Bronze Edition of 50, 5" x 5" x 4"
Star Liana York, Watch Bear, Bronze Edition of 35, 17" x 12" x 13"
Star continues to remain open to the many unique aspects the southwest has to offer. “The southwest is blessed with such rich cultural, aesthetic, and spiritual complexities that inspiration is always at hand. The colorful heritage of the pueblo and reservation peoples as well as the ranching communities, present timeless themes and subjects. My goal is to capture in bronze the universal humanity reflected in the gesture of a caring shepherd girl, the sleepy grin of a bobcat or the playfulness of pregnant mare. These subtleties of character, personality, and expression are the most challenging and most rewarding part of my art.” It is no wonder her sculptures always find a way to capture life’s radiance. Star Liana York, Jack of Hearts, Bronze Edition of 35, 14" x 28" x 11.5"
Star Liana York, Feast Day, Bronze Edition of 35, 15" x 7" x 3.5"